In case it's unknown, there are few things I love more than Studio Ghibli. Hoodie's are rather close in line with it. 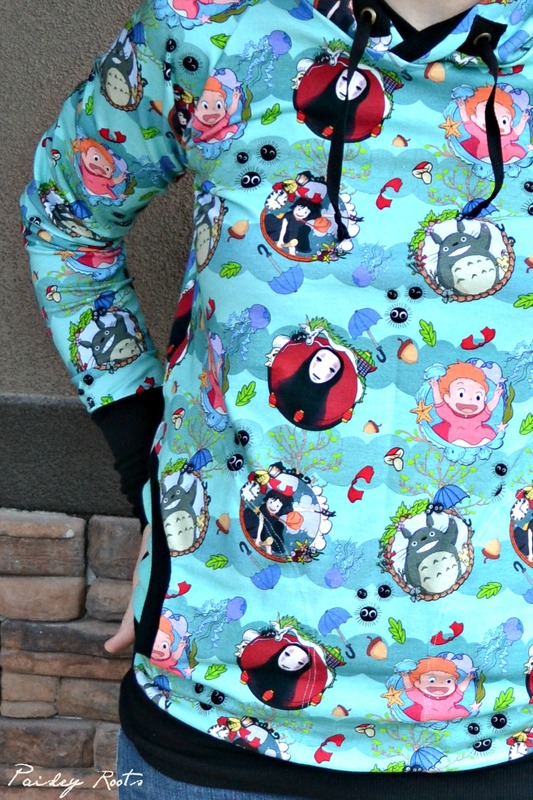 Luckily, my bestie knows me well and when Knitorious Fabrics came out with this amazing Studio Ghibli fabric (you can join the B/S/T group and hopefully get lucky and nab some), she knew she had to get me some for my birthday. 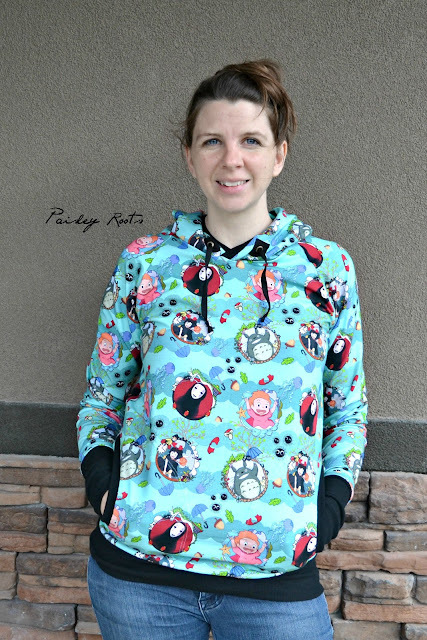 Of course I made a hoodie out of this delicious fabric! I had to combine those two loves. My new adult go-to pattern is Patterns For Pirates Women's Raglan and Add-on Pack. This is the second one I've made. You can see the first here. I did adjust it to make the pockets be circle pockets and I added a ribbing around the hood and eyelets for the drawstring. 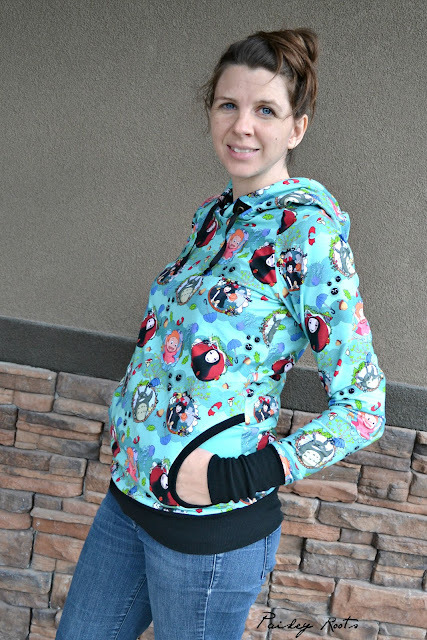 Sizing I left as is and for my tall frame, this makes it the perfect hoodie length! Knitorious is a custom fabric, so it's rather pricey and you have to wait a few months after it's ordered to receive it, but every custom fabric I have ever gotten has been absolutely amazing and completely worth the wait and price. You know how sometimes when you are using your knit stitch and the thread keeps breaking?? Yeah, that has NEVER happened to me while sewing up custom knit. And that's even going "devils-after-you-to-burn-you-alive-and-cut-off-your-fingers-and-toes" fast. I've heard this year is going to be a really cold and a snowy one for us, so I'll be living in this until next June. I can't thank my Bestie enough for it!